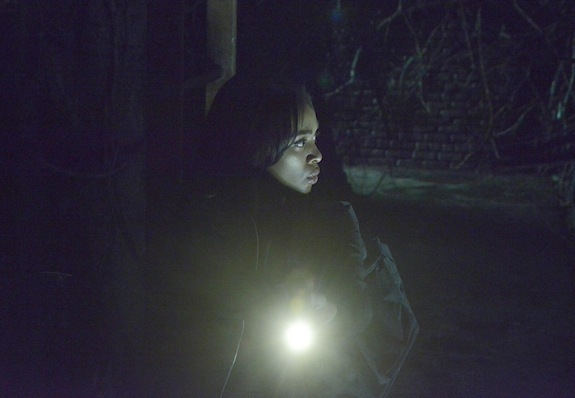 SLEEPY HOLLOW’s Pandora has been unleashing trouble all over and in this week’s hour, Fox says that what she releases from her box can turn an “ordinary human into a terrifying figure from the past.” Which…yikes. 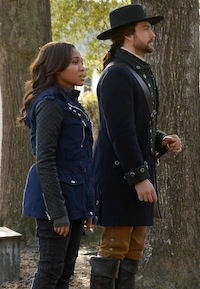 SLEEPY HOLLOW airs Thursdays at 9 PM on Fox. 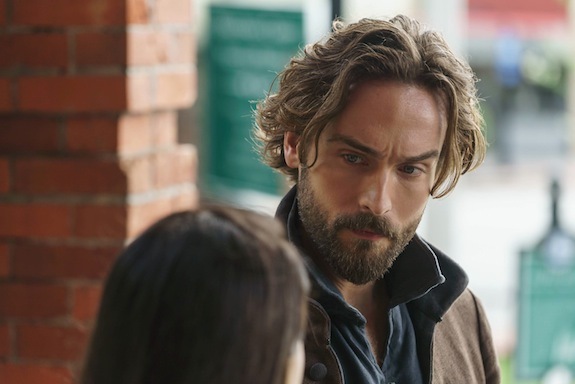 SLEEPY HOLLOW is returning for its third season on October 1st…with quite a few changes in store. Tom Mison’s Ichabod and Nicole Beharie’s Abbie are still leading the way as humanity’s best hope at avoiding a full-on apocalypse (with help from Lyndie Greenwood’s Jenny), but the show lost Orlando Jones’ Irving — who exited the series over the hiatus — as a vital ally. And since Team Witness defeated John Noble’s Henry and Katia Winter’s Katrina were killed off in the final episodes of the show’s second season, the show needed some new blood to fill their shoes. Enter Nikki Reed (who is playing Betsy Ross, Crane’s former partner), Shannyn Sossamon (who is playing the show’s new Big Bad, Pandora), Lance Gross (who is playing Abbie’s boss, Daniel Reynolds), and season 2 guest star Zach Appelman, (who played Corbin’s son, Joe), all of whom are now regulars on the drama. The series also changed bosses over the hiatus: Clifton Campbell joined the show, replacing departing showrunner Mark Goffman. “I saw there were a few things that [SLEEPY HOLLOW] very subtly needed to recalibrate to bring the fun back to the show, to bring the characters of Abbie and Crane front and center,” Campbell acknowledged. With Headless, Henry, and Katrina out of the picture in SLEEPY HOLLOW’s upcoming third season, the show is bringing in a new force of evil to test Team Witness. “There’s going to be a new villain that people haven’t seen before, who is going to bring a lot of havoc,” SLEEPY HOLLOW co-creator Alex Kurtzman shared. SLEEPY HOLLOW has gone through its ups and downs in season 2, but the penultimate episode of the season, “Awakening,” hits the ground running. 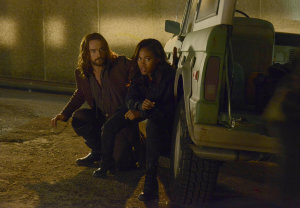 SLEEPY HOLLOW Exclusive First Look Photos: Meet the New Angel! When SLEEPY HOLLOW returns in 2015, a powerful new friend will make himself known to our team…and he comes in a form they have yet to experience in the war so far. 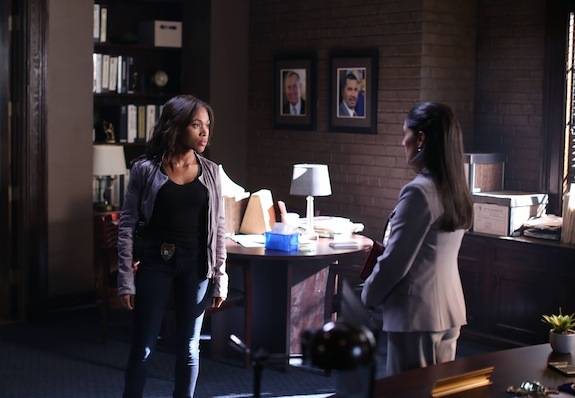 SLEEPY HOLLOW is exploring a bit more of the Mills family drama with Monday’s brand new episode, “Mama,” as footage from suspicious deaths at Tarrytown Psych leads Abbie and Jenny to fear their mother’s soul might be responsible. Comments Off on SLEEPY HOLLOW: ‘Root Of All Evil’ Photos — Meet Benedict Arnold! SLEEPY HOLLOW has recontextualized many historical figures from the past in the show’s run so far, and in the upcoming episode, “Root Of All Evil,” viewers will meet Benedict Arnold.